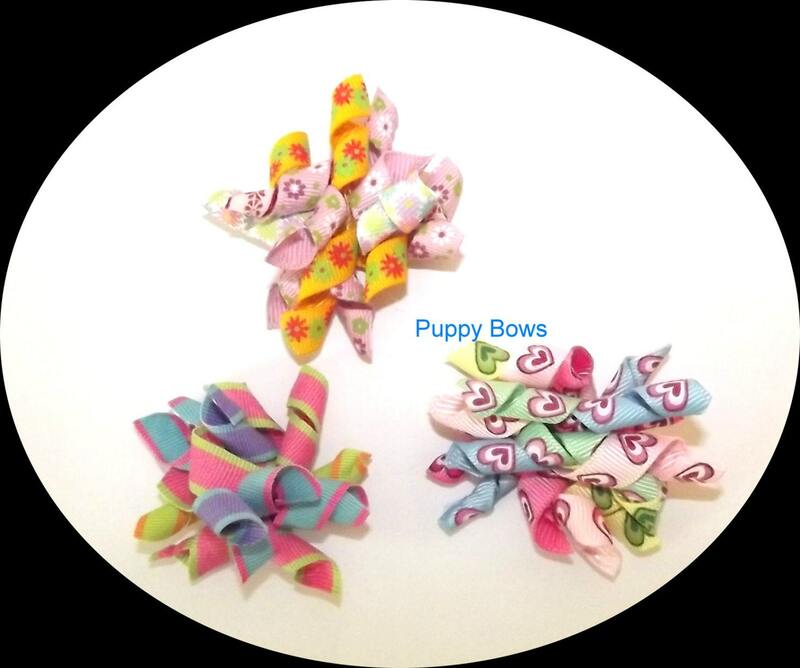 These korker hair bows are perfectly sized for dogs. 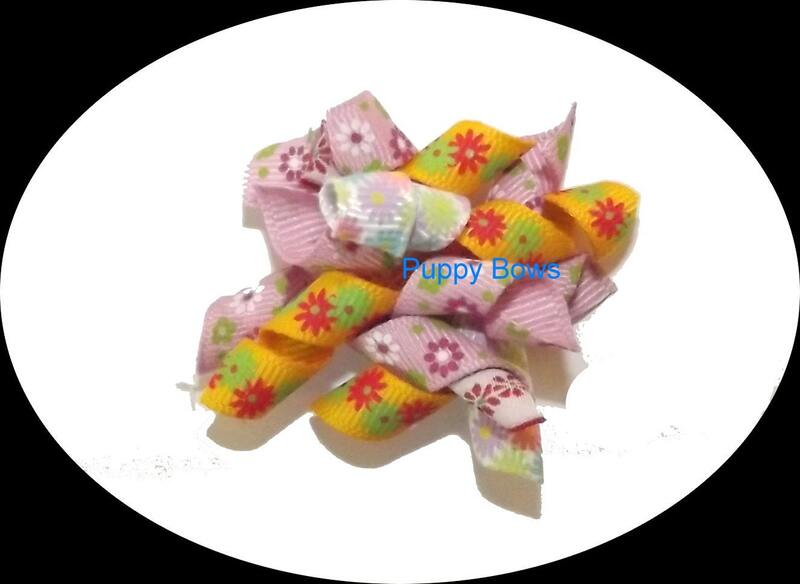 They measure about 1.5" and have 8-10 strands of korkys. 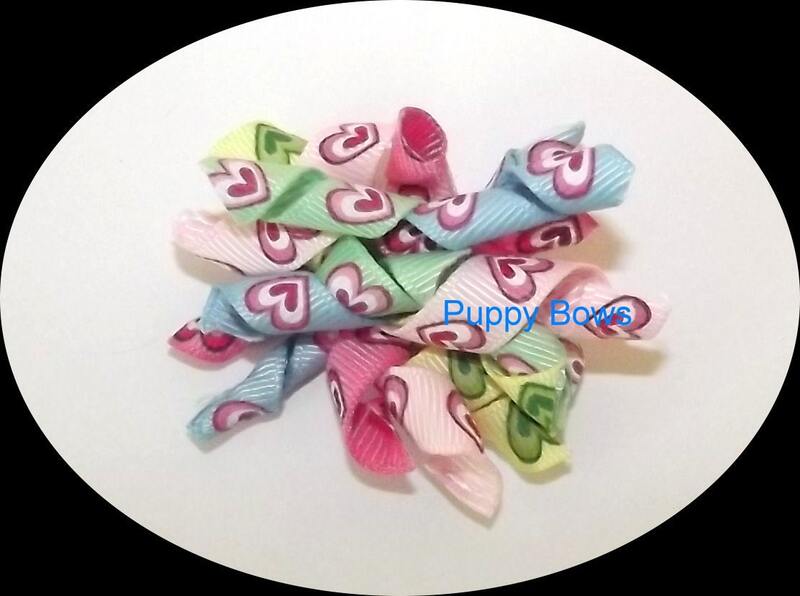 They come in your choice of bands or barrette. Stripes is sold out.